Game card holder! Silicon case! Stand! 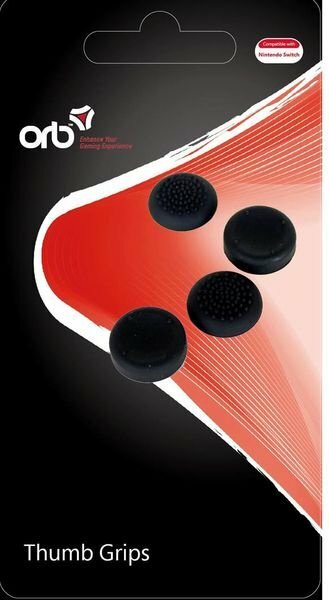 Thumb grips! The Nintendo Switch might be a few days away from its full reveal but we've already seen peripherals and accessories break cover online, and now we have some more to add to the list. 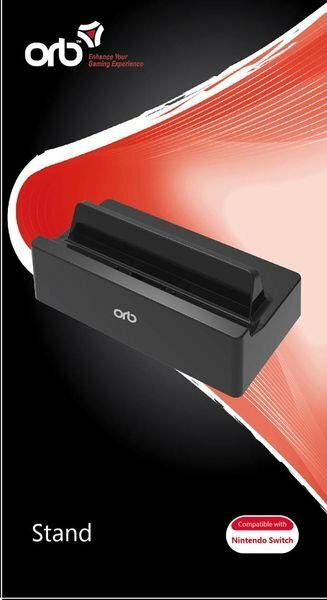 Finnish retailer Konsolinet has listed several products from a company called ORB on its website, including a silicon case, thumb grips and even a stand for the machine. Will you be purchasing any of these accessories when you get your Switch, or do you not see the point of such items? Let us know by posting a comment below. Fellow Nintendoids, I've done it at last... I've completed my time machine to bypass this grueling wait! I'll see you all at the Direct!!! @mr12calvin Haha, I was just thinking the same thing! And the stand also seems pretty useless unless it charges at the same time, since the Switch itself already has a kickstand. Look how many games that game case can hold! I could think of a very Finnish joke for this occasion but it's such an overused joke that I think it's best left out. And it's in Finnish anyways so no one would get it. I think I'll get at least some kind of carrying case for mine since I'll be using my Switch mainly as a handheld but other than that, these things don't really attract me. Most of this is clearly not overly well thought out... I'm guessing they're just trying to cash in on the Switch while they can. As I said when the Snakebyte ones were shown... I went off third party accessories like this long ago, so will rather get official ones if I can. I will definitely get a extra stand or charger for the Switch. It's primary location will be on my bed-table, next to my 3DS. I am more of a handheld gamer anyway. I will use the TV-play option from time to time, but it will not be the primary use case for me. @DragonEleven Official ones are mostly third party with a license, but usually they are the best of the accessories. Hoo boy, this is the big sweek! If the stand has HDMI out it'll be pretty handy for people who want to use the switch on multiple TV's. Hopefully additional docks will be available to buy at launch for a reasonable price. Orbs are only ok with thumb grips, I have them on my ps4 controllers. I got a ps4 stand from them last year, terrible product! That's kind of how I feel too. May cost more but the quality is unrivaled. I loved the Circle Pad Pro, 3DS Charger base, Wiimote Rapid Charge Base and Battery, Wii U extended capacity gamepad battery, etc. Although, I'm not strictly opposed to 3rd party accessories. 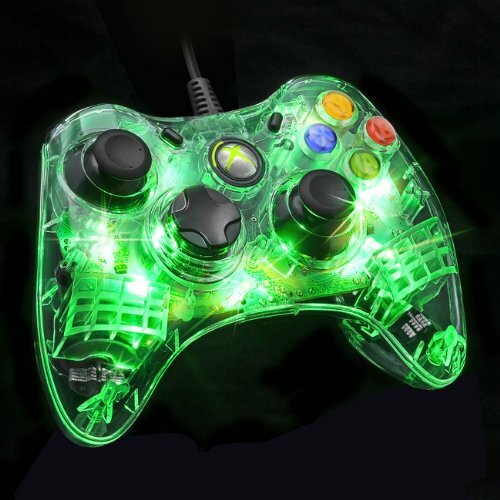 I have a PowerA Battarang 360 controller for PC, and it lights up around the edges and buttons any color you want... Had that thing for years and it's as solid as they come. WAY too bulky as well. @Late "See you on the market place""? Meaning you expecting stuff like this to quickly be resold again after purchase and finding out how crappy it is or something? Got an Afterglow 360 myself, which has three settings: off, on or only lighting up when rumbling. @cfgk24 : exactly! Looking forward to seeing what Hori cooks up. @JaxonH Any color you want, and you didn't go for the Super Famicom color-comination. For shame. How does that silicone grip work when you want to take off the joy cons? They really didn't think that one. I usually prefer first party accesories, but we don't know if Nintendo will have them ready for launch, and I don't fancy carrying the Switch without a case. With how thin it is, it gives me the impression of being quite delicate. 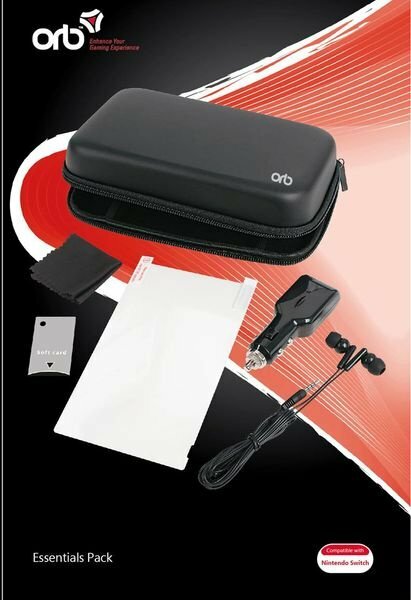 Gona buy ORB Essentials Travel Pack ASAP! 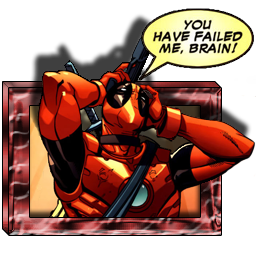 @ThanosReXXX Not quite. The "torilla tavataan" is usually accompanied by "Suomi mainittu" meaning "Finland got mentioned" then followed by the "see you at the Market Square". It's kind of a meme at this point in Finland. I think it got its start from how some Finns gather at the Helsinki's Market Square when Finland wins at sports events (mostly ice hockey) or something. That's when Finland gets most attention while otherwise it's rarely mentioned so nowadays as soon as someone mentions Finland, the phrase comes up. I've had silicion grip for gamepad and it is nice so more these pop up but I can see buying something like that. 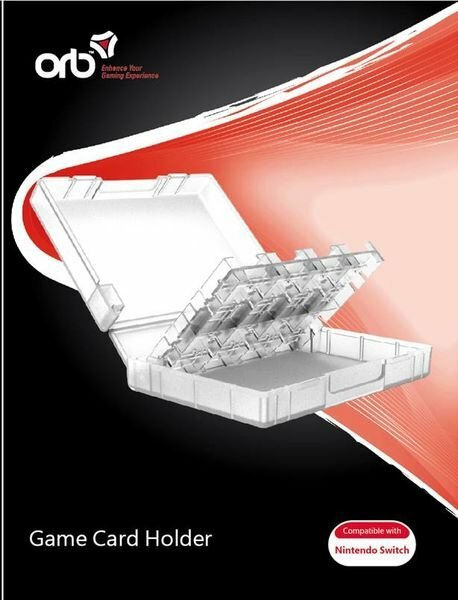 Gamecard holder looks horrible. ...of course I need to dig money from somewhere to buy the whole dang Switch. @dew12333 Don't mention her. I already had to hear about her for months thanks to some of my friends constantly sharing news stories about her on Facebook. @Late Ah, okay. Makes sense, from the looks of it. @MadAdam81 If they have a license allowing them to use the official Nintendo logo, then that actually makes them second-party, not third-party. But I think it must have a reason. If I buy a Switch, I'll need a carry case, and some kind of silicone case, but these don't look very well thought-out. @JaxonH That's ok! PCs are meade by anybody and everybody anyway! Nintendo should be in-house all the way! Hori Stuff is great quality! Wait... why would you need a stand if there's one built in...? @SamuFinland They are also claiming that the switch will be 399 instead of $249. So that's not correct. I think they just used it as a replacement. Is says nothing about how the Breath of the Wild date wouldn't be final. Ya know, I used to say the same thing about Hori. But then I bought one of their m-fi controllers that sync to your iPad, and it was absolutely horrid. No clickable analogs, it only has one button for power, Bluetooth sync and player selection. I could never get it off Player 3, and every time I turned it off then on, I'd have to pair it again. Ended up throwing it in the garbage the other day while cleaning out my doors. Idk, they still make some good stuff but, I'm much more leary of their products now having had a bad experience. I'll go with officially licensed vs. 3rd party every time when it comes to accessories, but I won't deny that this isn't helping to temper my excitement levels any. That silicone grip protector is worthless. From the looks of it, how are you supposed to release Joy Con L and R if it is a 1-piece grip protector? About the silicone case: has it occurred to anyone that maybe, maybe, there will be people who will prefer to use the switch as a mostly personal portable console? (as in, they won't really need to remove the joycons that often?). I still use my Real Leather Pair case for my launch day 3ds - it's fantastic! And it still smells of Leather! No, the iPad Air 2 is actually excellent with stuff like that. Super easy, much more so than Android based devices. For example I connect my Laser Printer to my iPad in 5 seconds and never had a problem, but with my Galaxy phone I needed a special app, and even then it wouldn't work right when it was in sleep mode, etc so it's definitely not the iPad.